Have you ever been fascinated by the cutting and slicing talents of professional chefs? With this multi function slicer, cutter and grater, creating wonders in the kitchen has never been easier. This hand-held slicer made of Food-Grade stainless steel & BPA-Free ABS plastic, offers functionality with changeable and durable stainless steel blades for a creating a variety of fruit and vegetable gems. 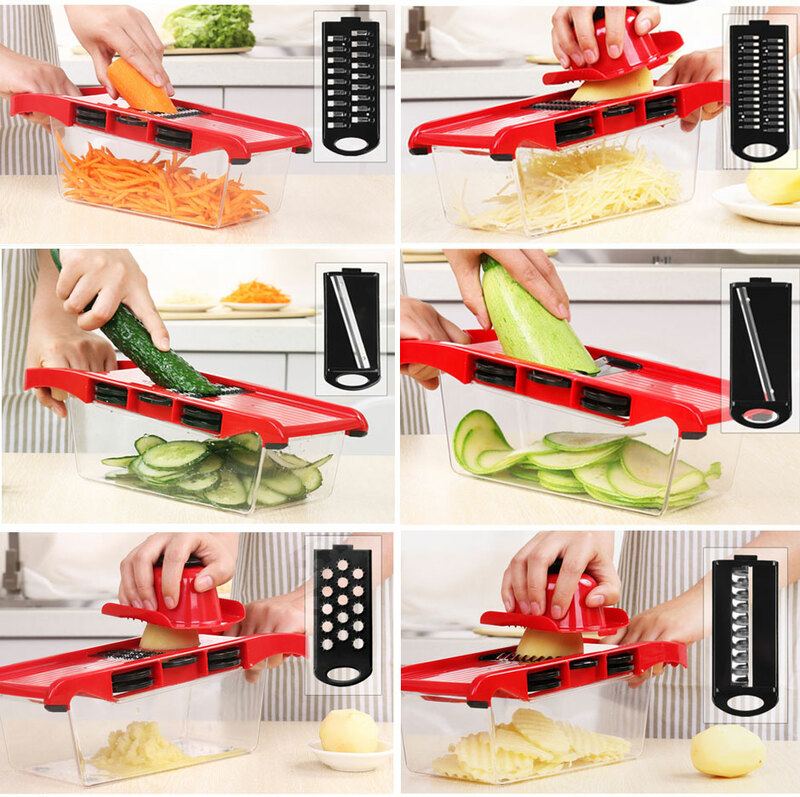 Featuring a safe finger guard that securely grips on the veggies to protect your hands, this professional kitchen slicing tool will let you cut your vegetables effortlessly! Save time and effort in the kitchen by using this versatile food slicing tool to cut all your veggies to perfection!